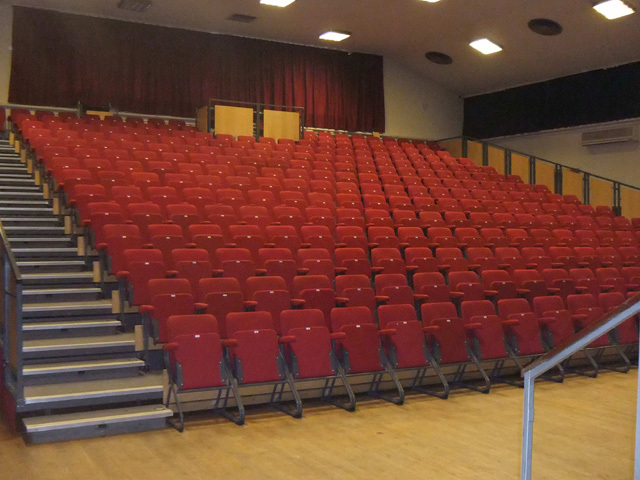 Winston Churchill Hall at Ruislip, Middlesex (10 mins off the A40 at the Polish Memorial exit) is likely to be the venue for the BFCC in 2011. VERY Nice theatre with stadium seating for 300, canteen facilities, dealers room (smaller than Ealing town hall), smart entrance. Easy to get to by public transport on the Piccadilly line, approx 5 minutes walk (will be tested at a later date by the organizer and maps provided on web site or by e.mail). Modest sized 'free' car park, but if this is full the council £2 all day-car park is within eyeshot, if not closer! Suitable bus transport to been checked and notified. Proposed date (subject to confirmation - booking not yet open) is Sat May the 14th 2011. No dates available for 2010 so March 20th at Ealing will be the only event for this year - make the most of it! Please note: if attendence is poor, this will be the last ever BFCC! You have been notified, and warned! Image below shows the impressive auditorium at the new venue which is ideally suited to the exciting shows put on at the BFCC.